Our company offers great help with your kitchen cleaning needs. We offer a deep cleaning programme, the purpose of which is to leave the heart of your home spotless. We involve a number of cleaning tools and put our knowledge and skills to some good use. The cleaning jobs that our kitchen cleaning service in Chiswick includes are dusting, de-scaling and de-liming, mopping, removing stains, getting rid of spider webs, degreasing, vacuuming and more. Each member of our company is screened and is fit to do the job in a professional way. We believe that you have come to the right place. Ring us up and set up an appointment. Let us clean your kitchen and we will make sure all the surfaces are gleaming. Our kitchen cleaning service in Chiswick is what you need. It comes with a great quality and you shouldn’t miss it out. Our kitchen cleaning service in Chiswick, W4 has amazing features. It is timely, it comes with decent prices and it is very flexible. Customers have the freedom to choose the day on which we carry out the work. We have made our service flexible so that you don’t have to comply with our schedule. Our service makes a difference. Not only will the overall appearance of your kitchen be fresher and nicer, but the surfaces will be germ-free. We will put our best effort to scrape off, scrub or clean hardened grime and debris, depending on where they are situated. We will clean the stains, shine the worktops, dust all skirting boards, disinfect points of contact, clean corners and lamps. We will tend to every area. The place will be in great hands, we assure you of that. 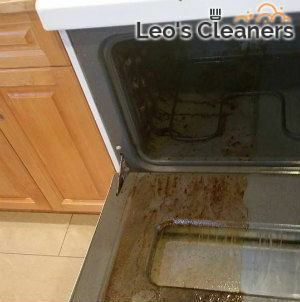 You can trust our kitchen cleaning service. Make sure to give us a ring. We will be happy to set up an appointment.